Preheat oven to 375°. Scrub potatoes; pierce several times with a fork. Place on a microwave-safe plate. Microwave, uncovered, on high 10-12 minutes or until tender, turning once. When cool enough to handle, cut each potato lengthwise in half. Scoop out pulp, leaving 1/4-in.-thick shells. In a small bowl, mash pulp with butter, sour cream, hot chili sauce, salt and pepper. Place potato shells on a parchment paper-lined 15x10x1-in. baking pan. Spoon potato mixture into potato shells, creating a 3/4-in.-deep well, building up sides with potato mixture as needed. Break one egg into each well. Bake 25-30 minutes or until egg whites are completely set and yolks begin to thicken but are not hard. 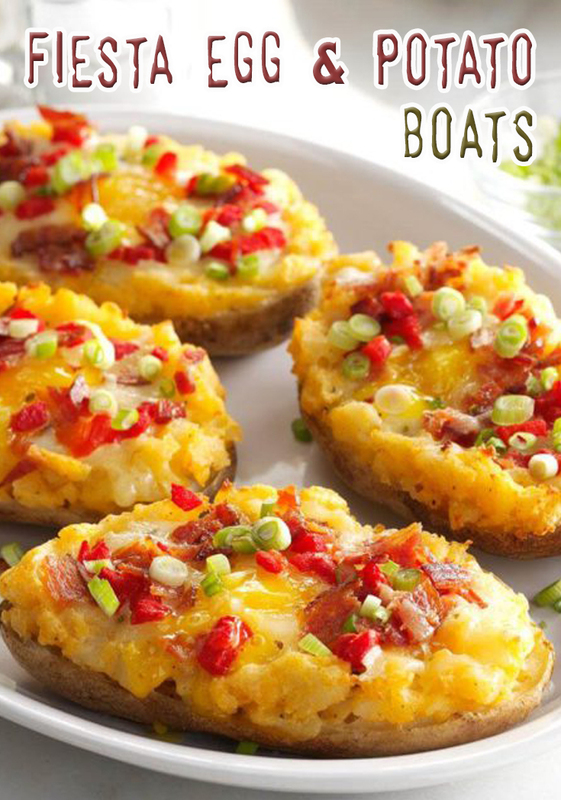 Top with bacon, pimientos and cheese; bake 2-4 minutes longer or until cheese is melted. Sprinkle with green onions.